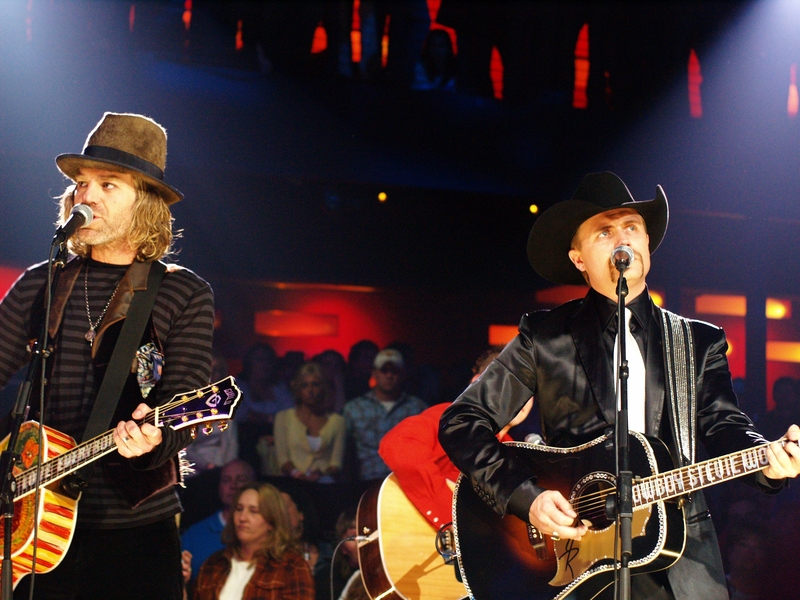 The annual Everyday Heroes concert, which this year features country stars Big & Rich, will be held Friday night in Seaside Heights. The annual concert is held in support of military, police, fire, EMS and all first responder personnel. The performance will take place on the large beach stage, at Grant Avenue. Gates open at 5 p.m. and the concert begins at 7 p.m.
Tickets are $25 and can be purchased online. The concert is being organized by radio station Thunder 106 and, in addition to Big & Rich, will feature Frankie Ballard and additional performers. No alcohol, glass – bottles or otherwise – tents, umbrellas or pets will be permitted. No coolers will be allowed on the beach. Concertgoers are urged to bring their beach chairs and towels. Children under five years old do not require a ticket. The concert will be held rain or shine, organizers say. A portion of the proceeds will be donated to Homes For Our Troops, a privately funded nonprofit organization that builds mortgage-free, specially adapted homes nationwide for severely injured Veterans to enable them to rebuild their lives after returning from war.